What Does $.25 cents get you? You get a simple yet well produced 30 second Radio spot. Your Radio spots will be on rotation for 30 Days. You can renew your radio spots or pay for the unlimited play. The primary function of advertising is to persuade people to buy something. Consequently, understanding how advertising influences people is an exercise in understanding how persuasion techniques are used in advertising to trigger buying decisions. What is a persuasive ad? Persuasive Advertising is a type of product promotion that aims to persuade a consumer for buying a particular product, especially in the presence of several similar products in the same category. They propose that advertising works by creating patterns of associations that have emotional force, and that influence purchasing behaviour, often unconsciously. ... Therefore, the way an ad makes you feel may also be important, because this contributes to the long-term associations that you have for the brand. How does advertising influence consumers? The marketing and creative department work together to formulate ads that appeal to an audience's curiosity. A good ad will increase sales and brand awareness. ... Understanding the ways in which advertising affects consumer behavior will allow you to create stronger, more memorable ads. 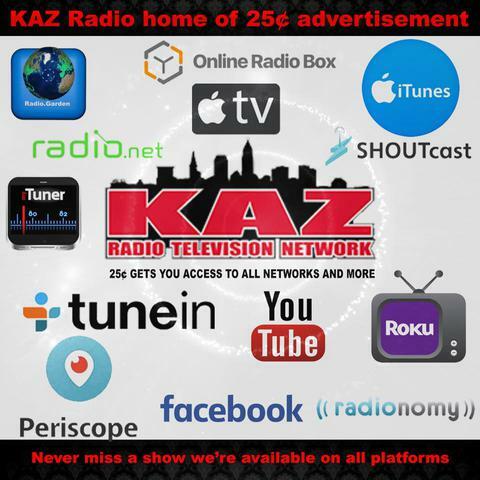 Why Advertise with KAZ Radio TV Network? A. Ad Placement: Every effort will be made to position advertising as desired; however, under no circumstance is position guaranteed and advertising must be paid for regardless of position. for advertising on KAZ Radio TV Network. Publisher requires 100 spots at $0.25 (minimum of $25) to start production work. C. Renewability and Cancellation: This contract will be deemed as automatically renewable unless written notification is given 30 days prior to the end of the advertising period as stipulated in paragraph B.
D. Payment: Advertiser must make payment prior to the start of any production work. The cost of the production work is included in the advertising fee. 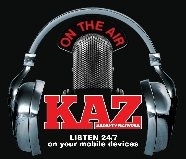 Check payments should be made and sent to KAZ Radio TV Network, 1501 N. Marginal Rd. Suite 105. Cleveland, OH. 44114.
Credit Card and Cash payments can be arranged. E. Right to Refuse Unacceptable Advertising: Publisher reserves the right to refuse any advertising that the publisher deems unacceptable for broadcast. F. Usage Statistics: Publisher makes no guarantee of any level of traffic at any given time. Publisher makes no guarantee as to the effectiveness of this advertising campaign. Publisher is not required to provide advertisers with usage statistics. G. Truth in Advertising: Advertiser is solely responsible for any legal liability arising out of or relating to the advertisement, and/or any material to which users can link through the advertisement. H. Limitations on damages: In no event will publisher be liable to advertiser for any special, incidental, or consequential damages, whether based on breach of contract, tort (including negligence), or otherwise, and whether or not publisher has been advised of the possibility of such damage. I. Governing Law: This contract will be governed by and construed in accordance with the Laws of the State of Ohio. J. Entire Agreement: This agreement and any attachments are the complete and exclusive agreement between the parties with the respect to the subject matter hereof, superseding and replacing any and all prior arrangements, communications and understandings both written and oral. The terms of this agreement will prevail over any contrary or inconsistent terms in any purchase order.